**BLUETOOTH**, **KEYLESS ENTRY**, **BACK UP CAMERA**, **ALL WEATHER PACKAGE**, ABS brakes, Electronic Stability Control, Heated door mirrors, Illuminated entry, Low tire pressure warning, Remote keyless entry, Traction control. 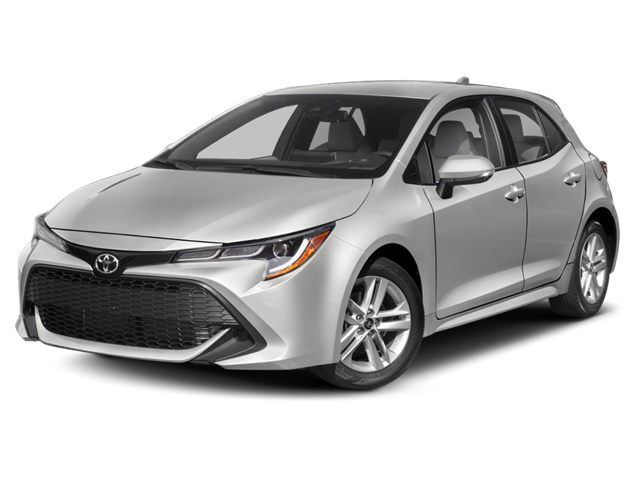 2019 Toyota Corolla Hatchback SE Paprika Red 2.0L I4 We will delivery your new vehicle to you. We have pick-up and delivery, courtesy shuttle and free towing within 25 miles of the dealership We also have courtesy vehicles. *Please ask dealer for details. Hello, I would like more information about the 2019 Toyota Corolla Hatchback, stock# 35167. Hello, I would like to see more pictures of the 2019 Toyota Corolla Hatchback, stock# 35167. Ready to drive this 2019 Toyota Corolla Hatchback? Let us know below when you are coming in, and we'll get it ready for you.